As the work continues, the throngs of children and people have become throngs of individual faces with individuals stories. The Lord has put a yearning on our heart to have the ability to communicate well with these men, women, and children – to share the love of Christ with them. Opportunities have arisen today. Sekal, approximately 17, who had been entrusted with one of our cameras early on, showed his artistic prowess by taking photos of his friends and sharing them. Today, he took part with one of his friends in reading the verses of the Romans Road to a gathering that began with 4 or 5 children. At the end, 6 more children had joined along with what looked like a husband and a wife holding their children, all listening attentively to Sekal and his friend read the Romans Road. Times like this saw some faces enthralled, and some who nodded along – knowing the story of grace. As metal tin rang with the sounds of drills above from our team’s work, Gloria shared, through a translator, her story of having 6 children with no father in their lives, a sister who passed away last year, and shortness of breath that comes most acutely when she thinks of her sister. She is a believer, and we were given the opportunity to pray with her. This kind of opportunity has been given to us around the town. As team members work on the home, others are able to share the gospel with the homeowners and neighbors. Moise, an 8- or 9-year-old boy, sat helping one of our team members practice Creole, as they worked through the Romans Road, stopping to memorize. Moise was dressed well, but as time went on, Olven, about 14, came by to ask for all of the accoutrements that had made his clothing stand out – belt, glasses, watch, phone. Olven put them on himself, and stopped to talk. As they continued working on the Romans Road, our team member shared that “Jesi renmen ou” (Jesus loves you). They smiled broadly with acknowledgement and say “oui.” “Ou renmen Jezi” (Do you love Jesus?). They shake their heads “yes” also. Olven left quickly then came back with a notebook and a pen, and Moise helped Olven write Romans 6:23 down in his notebook in English. Moise was present again later in the day to help read the Romans Road verses to a new crowd of kids. Hammers, drills, talking, playing, speaking Creole (trying), and serving one another. These are some ways we share Jesus, for His glory and for those he loves. He loves these people passionately. Please pray for our continued ability to communicate the love of Christ to these people. Particularly, we would like to see the translation barrier passed. 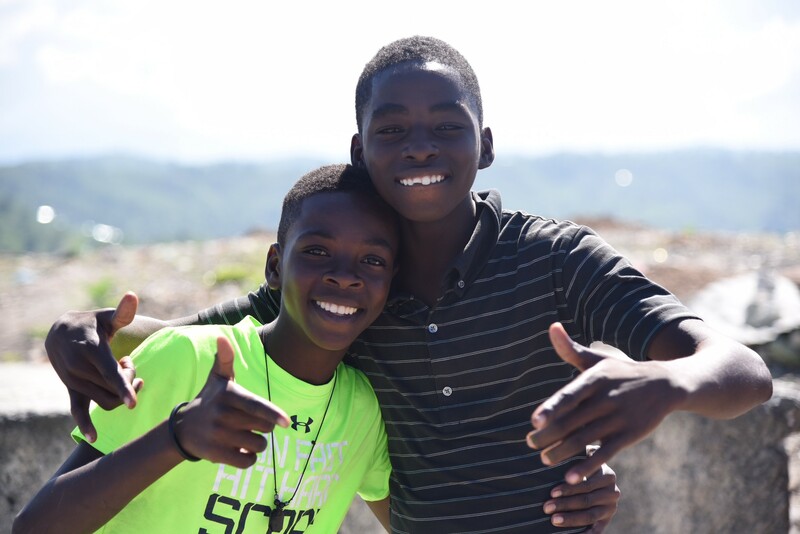 More than our time here, please join us in praising God for his work in Haiti. 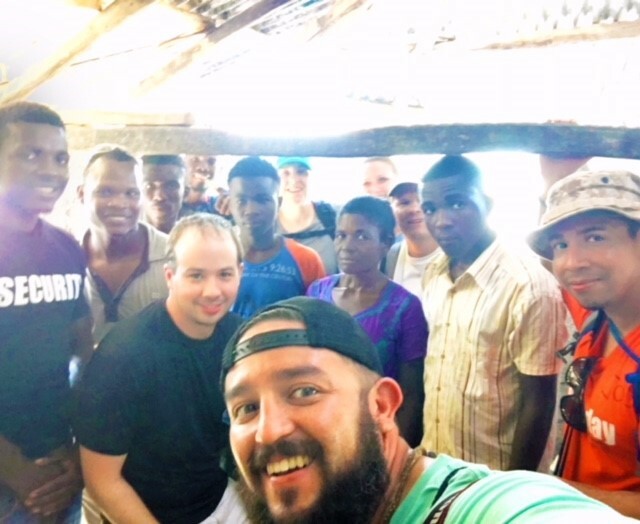 Please pray the Lord would continue to make the gospel known, and to strengthen the Haitian people and those He is leading to partner with them to see that every man, woman, and child be transformed in Jesus. Confession: I like things to go my own way and on my own timetable sometimes. Especially when we are trying to repair roofs here in Jérémie, Haiti. But God is quickly reminding me that He is always on time. Our house today was a complicated house to roof, but it shouldn’t have taken us the second half of the morning plus all afternoon to get through it. But with batteries continually dying and the heat radiating off the tin, it did, and going into day 3 of working we will have to still go back and complete a few things. But the best part of the story comes from a question I asked at lunch: Where was the family? This was later answered by Charles, our security guard, when we were packing up the site for the day. Charles said, “Don’t you want to meet the family?” and anxiously began seeking them out. And in walked the mother & her 3 boys, Wal, Wilson, and Diene. The mother asked that we pray the boys would come to know and walk with Jesus – and not get caught up in the gangs here in Jérémie. Before we prayed Raul asked if he could share his story with the boys. He gave a short account of his turmoil due to self-seeking actions, which ultimately left him at rock-bottom. But Jesus was there and began to bring him back up. We were then able to pray for the boys as we stood in their house. We planted seeds today; we showed the gracious love of God today. There was a reason it took us so long today, and there was a reason those boys didn’t show up until then. For His thoughts are not our thoughts, neither are His ways our ways (Isaiah 55:8-9). 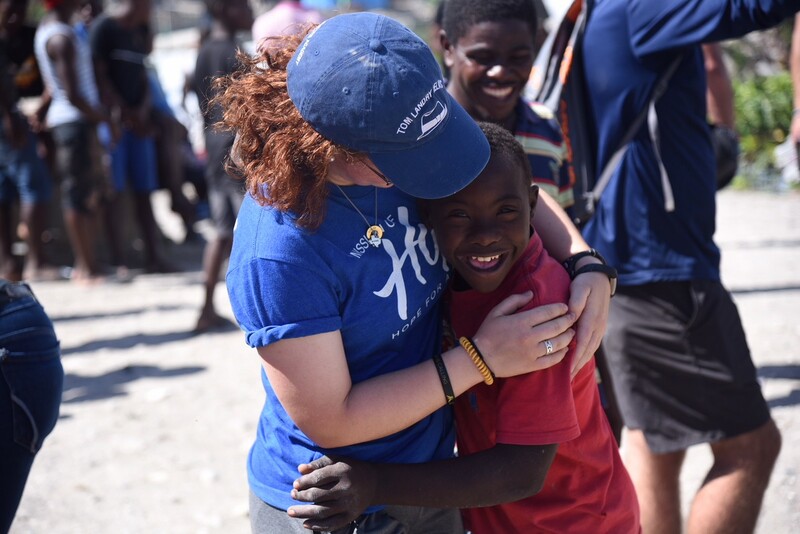 We arrived in Haiti on Sunday, and at our destination, Jérémie, all safe and sound Monday morning after two flights, a bus ride, and a boat ride. protection from the rain and shelter from the sun, etc.. The Haitians working with us are pros—they couldn’t even tell us how many roofs they had put on because they have lost count. light of Christ, without the word, which is a lamp to my feet and a light to my path. My prayer is that through the relationships developed and continued through the local church, Christ would change lives and bring light to this dark and heavy place.